Sometimes we come across a piece so good, we have to share it. This is one of those times. There's no need to get bored with your winter sweaters when unique pieces like this exists. 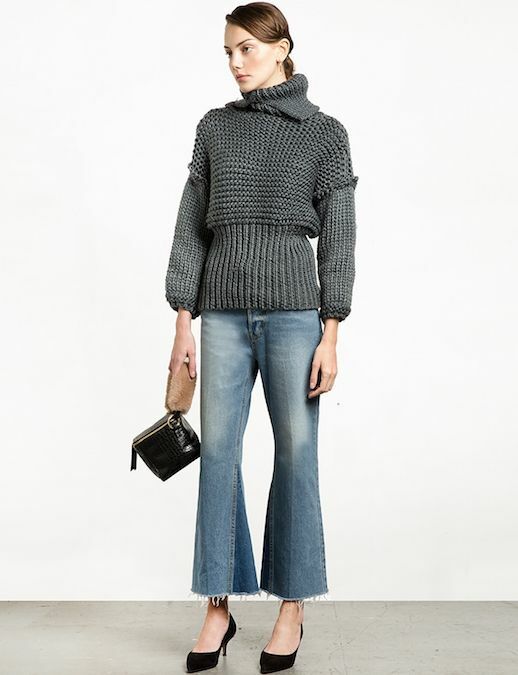 This balloon sleeved, chunky, cropped turtleneck sweater is just what you need.